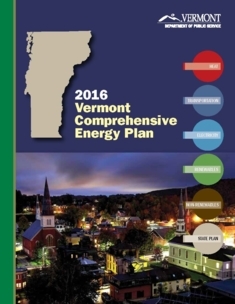 Vermont's 2016 Comprehensive Energy Plan, prepared by the Department of Public Service, provides a framework to advance our energy goals, along with specific plans and recommendations for action by the public and private sectors. The Vermont Public Service Board (PSB) is a quasi-judicial agency that regulates electric power companies, telephone service providers, cable television providers, pipeline gas companies, and some private water companies. 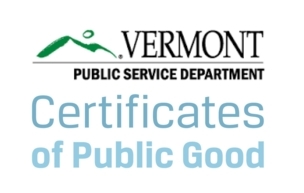 The PSB issues certificates of public good to electricity generating sites that allow them to be developed in Vermont.